Why do we worship Kuber Dev on Diwali? Do you know why do we worship Kuber Dev on Diwali? Diwali is one of the most important festivals of Hindu dharma, which is celebrated to mark the victory of good over evil. The Legend of Rama’s victory over Ravana mentioned in the Hindu epic Ramayana is celebrated on this day. Lord Rama had returned to Ajodhya after fourteen years of exile in the forest. The festival is celebrated by lighting lamps and praying to gods for goodwill and prosperity. Even though we pray to all the gods and seek all of their blessings but Hindus prominently pray to Goddess Lakshmi, Lord Ganesha and Kuber Dev. While we know the significance of Ganesh and Lakshmi worship on this day, not many of us know the significance of Kuber worship. Let’s find out why do we worship Kuber Dev on Diwali. Kuber Dev is known by several names like Kubera, Dhanpati, Kuber, Ekakshi Pilang and a few more names. He is the god of wealth according to Hinduism. He is depicted as a potbellied figurine with a short stature. He was an ardent devotee of Lord Shiva and had undertaken a tough penance to please him in the past. Lord Shiva impressed with his devotion, granted him the boon to be the treasurer of the Gods. He is also chiefly responsible for managing the North Direction. This is the reason why north direction is considered auspicious to face towards while worshipping or performing any holy rituals. Since he is the bearer of the north direction, he is also known as Dikpala and Lokpal. To seek his blessings, people also make use of Kubera Yantra and chant Kubera mantra. Since it is a more sophisticated way to worship the gods, it helps intensify your practice. The act of intense worship and meditation works for you in such a way, that with pure thoughts and focus, you tend to perform karmas in such a way that you attract wealth and prosperity. But you have to take charge and perform karmas. His blessings help prosperity and wealth shower upon us and eliminate poverty from our lives. It is believed that once in the older days, God Kuber had given a loan to God Venkateshwara for his wedding. God Venkateshwara is another Vishnu avatar. Since God Kubera is the supreme deity in the Tirupati temple, that is why it receives huge amounts of donations from the devotees. People visit this place to donate with the intention that they are trying to help him pay back the loan. 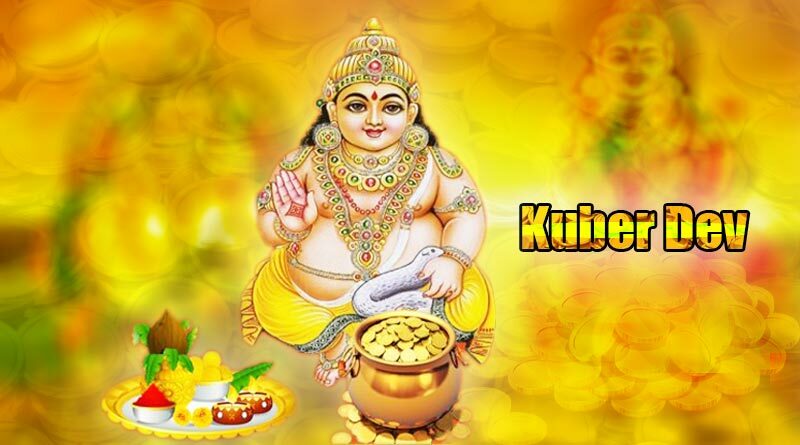 While many people worship Kubera only on Diwali, it is also recommended to worship him on Dhanteras as well. You can also worship him every Tuesday and Friday.